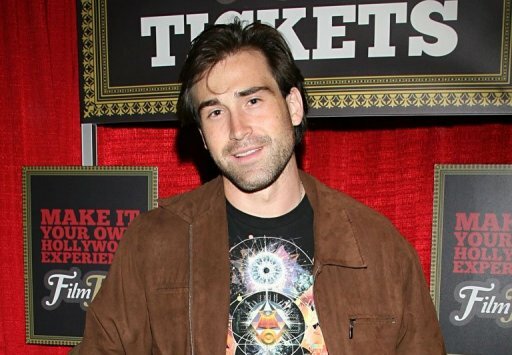 US filmmaker Sean Stone, son of Oscar-winning director Oliver Stone, converted to Islam on Tuesday in Iran, where he is making a documentary, he told AFP. "The conversion to Islam is not abandoning Christianity or Judaism, which I was born with. It means I have accepted Mohammad and other prophets," he said in a brief telephone call from the central Iranian city of Isfahan, where he underwent the ceremony. Sean Stone's famous father is Jewish, while his mother is Christian. The 27-year-old filmmaker did not say why he converted. According to Iran's Fars news agency, Sean Stone had become a Shiite and had chosen to be known by the Muslim first name Ali. 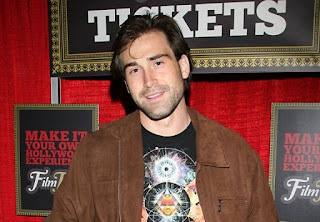 Sean/Ali Stone has acted in minor roles in several of his father's films, and has directed a handful of documentaries. Where is Osama bin Laden's family? Zakaria Ahmad al-Sadah; brother-in-law of Osama-bin-Laden has been looking for sister and her five children since the raid on of the Bin Ladin compound in Abbottabad in May of 2011. According to all accounts 16 members of Bin-Ladin have disappeared after the raid. Now he has written a letter to the Chief Justice of Pakistan Iftikhar Mohammad Chaudhry requesting his direct interference for securing the release of Amal al-Sadah who is a Yemeni National. The former al-Qaeda chief’s family has been held captive by “Pakistani authorities for eight months,” Zakaria has written in his plea. In his trip to Pakistan last November, Zakaria was supposed to meet with his sister on two occasions and take her and her children back to Yemen but his attempt remained unsuccessful. The commission probing the operation against Bin Laden announced last October that travel restrictions on the family members had been lifted but Zakaria claims otherwise. Sources believe that Yemen’s Ambassador to Pakistan Abdu Ali Abdul Rahman held a meeting with Interior Minister Rehman Malik and Zakaria last December 12, requesting the release of Amal and her children but the meeting remained unfruitful. According to Zakaria, Pakistan’s law enforcement agencies had earlier promised to let him meet his sister, but they backed out later. With no recent news on the family, Zakaria said that he is unaware of how and where his sister is now. Where is the Osama-bin-Laden's family? Are they in police custody or notorious ISI; the spy agency of Pakistan has a hand in their disappearance? Please leave a comment, and like our Facebook page. Zakaria al-Sadah, the brother of bin Laden's Yemeni fifth wife Amal, told Britain's Sunday Times newspaper that the Saudi-born extremist believed his children "should not follow him down the road to jihad." "He told his own children and grandchildren, 'Go to Europe and America and get a good education,'" Mr Al-Sadah told the Sunday Times. Mr Al-Sadah said bin Laden told them: "You have to study, live in peace and don't do what I am doing or what I have done." Bin Laden was killed in a commando raid in May 2011 by US Navy SEALS at a house in the garrison town of Abbottabad, northwest Pakistan, where he had been living for several years. Mr Al-Sadah said that in November he had seen his sister for the first time since she was shot in the knee during the raid, and had since been allowed to have a number of meetings with her in the presence of guards. (CNSNews.com) - The federal government is partnering with dozens of U.S. colleges to provide women from Muslim counties with a "world-class" education in science, technology, engineering and math. Secretary of State Hillary Clinton announced the NeXXt Scholars partnership last month, and her remarks were posted on the State Department Web site Monday. "Today's next Madame Curie could be sitting in a high school classroom in Cairo, Jakarta, or Mogadishu, yearning for opportunities to explore her potential. The United States is determined to help give her that chance."